Since April of 2015, the Republic of Burundi has been beset by a violent protest movement organised by NGOs financed by the United States and the European Union. These so-called ‘civil society’ organisations have engaged in mass murder, arson, and sabotage in a concerted attempt to spread anarchy in the country on behalf of neocolonial interests. The Burundian government has become a target of Africom, US neocolonial rule in Africa, due to its independent development policies which advocate the creation of a strong state with a multi-vectored foreign policy. Important contracts have been signed in recent years with Russia and China for the exploitation of natural resources such as nickel. The country is also moving closer into the orbit of the BRICS countries.This is why it is being attacked by Western backed political subversion. Pierre Nkurunziza, the country’s president, is among the most popular leaders in Africa today. The reason for this is quite simple. Since coming to power in 2005, Nkurunziza has built more schools than all the combined rulers since independence. 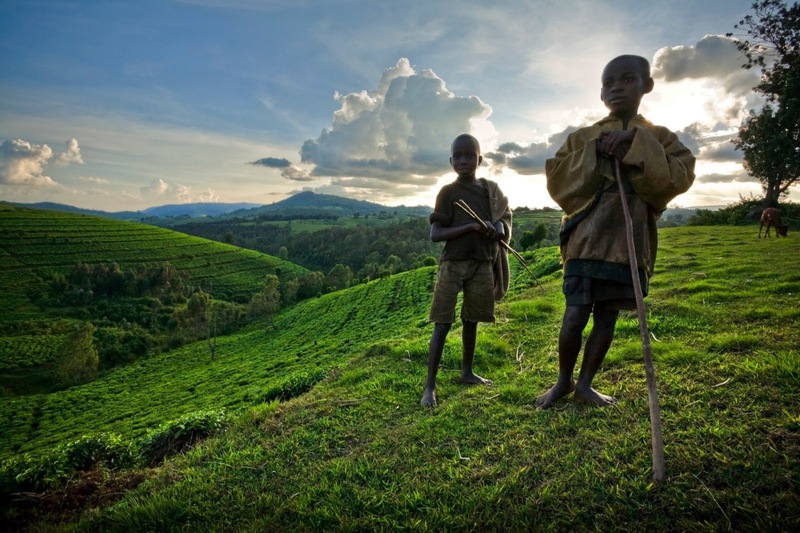 A keen ecologist, Nkurunziza is known to spend weekends working in the fields with peasants. He has initiated a vast tree planting programme to protect the country’s environment. The Burundian government intends to turn the country into a major exporter of fruit and free medical care for pregnant women has been provided in newly constructed healthcare centres throughout the country. The pretext for escalating the destabilization of the country came when Nkurunziza sought a third term as president.US/EU backed opponents claimed that this was contrary to the constitution. However, the legal authorities of the country judged that it was not contrary to the nation’s constitution. Under international law, each nation state is responsible for the internal affairs of that country. However, when it comes to African countries, this principal is rendered null and void. Brussels and Washington have said Nkurunziza must go and have been fomenting instability in the country since 2006, a process that has accelerated since April of 2015. Among his many achievements as president of Burundi, Pierre Nkurunziza has made community work on Saturdays mandatory in order to foster national voluntarism and a sense of civic spirit in a country just recovering from one of the twentieth century’s worse genocides. From 1993 to 2005, up to 4 million people were murdered during the French, Belgian and US-backed military dictatorship of generals Micombero, Bagaza and Boyoya. Nkurunziza’s Community Work Days have helped reconstruct a war-raved nation, creating a sense of self reliance, unity and social hope among his people. The project has already led to the construction of over 5000 schools in the country. Situated in the Great Lakes Region of Africa, Burundi is of major interest to multi-national corporations due to its rich agricultural land, natural resources and its strategic location near the some of the most mineral-rich lands on earth. 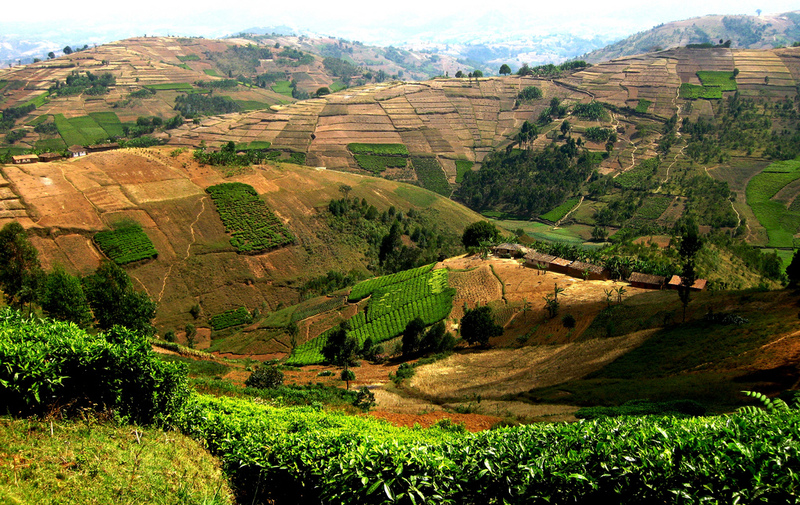 Belgian and French neocolonial rule in Burundi involved stoking up ethnic tension between the Tutsi minority, favoured by Belgian colonialism and the majority Hutu population. 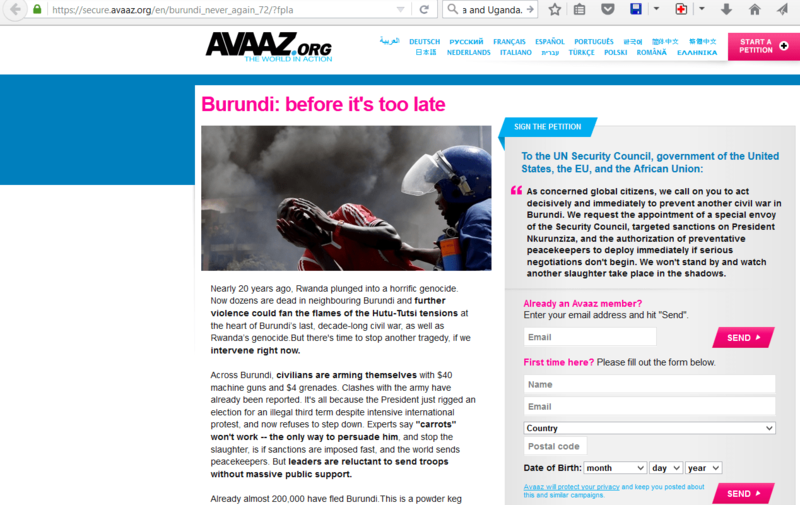 Although the government has made every effort to reconcile the two communities, ensuring an ethnic balance in the military and state institutions, and notwithstanding the fact that there is no evidence of state-sponsored racial discrimination in the country, the Western corporate press have been attempting to create the impression that the Burundian government is threatening to exterminate the Tutsi minority. They do this by twisting almost every statement the government makes calling for calm and unity among all Burundians into incitment to racial hatred and genocide.The spreading of rumours that promote fear is a integral part of imperial destabilization techniques. The Western powers never wanted Pierre Nkurunziza to take power. They understand that a leader who would be capable of uniting all the ethnicities in a country would inevitably pursue socially orientated policies inimical to Western corporate and geostratigic interests. Nkurunziza has repeatedly declared his intention to wipe out poverty in the country. Although the Burundian president is no Thomas Sankara, his concern for the livelihood of the poor makes him a danger to Western corporate interests. In 2012, the French Ministry of Defense published a report in their journal Horizons Strategiques which warned about the dangers for French interests posed by a resurgence of the ‘politics of dignity’ in Africa. National sovereignty and panafricanist movements were cite as presenting a grave danger to French control over African resources. This is why all African nations are being systematically destablised by mercenaries and pseudo ‘civil society’ movements working to effect regime change on behalf of neocolonialist interests. Most of these movements received generous funding from the US National Endowment for Democracy, a US think tank which works closely with the CIA to overthrow governments who threaten US imperial interests.This is precisely what is happening in Burundi. Amnesty International is now publishing serious accusations against the Burundian government in the corporate press. This is an organization which claims to be independent yet has counted among its board members former US National Security Advisor Zbiigniew Bzrezinski, who stated to French magazine Le Nouvel Observateur in 1998 that he couldn’t care less regarding the CIA’s backing of terrorists in Afghanistan, as long as US geopolitical interests were served. 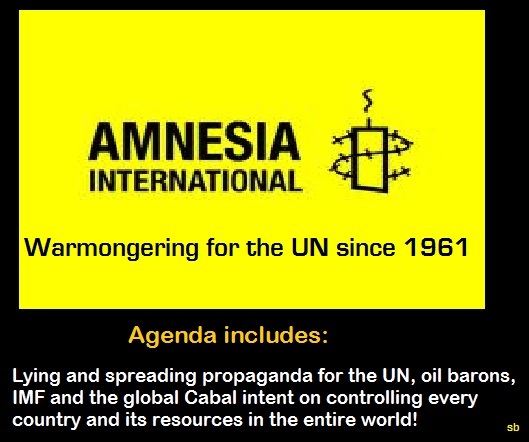 Amnesty International helped spread the racist lies about ‘African mercenaries’ during NATO’s propaganda campaign that preceded the carpet bombing and total destruction of that country in 2011. Amnesty international have been lying and lying over and over again about Syria since NATO launched its war on the country in 2011, using proxy terrorist gangs. The human rights group have repeatedly blamed the crimes of Al Qaeda linked terrorists in Syria on the Syrian government. Now the terrorist human rights organisation is sharpening its knives in preparation for the mutilation of another African nation resisting globalisation, resisting the Pentagon’s Africom, resisting neocolonial enslavement. Human rights organisations such as Amnesty International and Human Rights Watch are the avant garde of contemporary imperialism. They are, ipso facto, deeply complicit in genocide, war crimes and crimes against humanity. These organisations provide moral justification for devastating wars of aggression that murder hundreds of thousands of civilians, rendering millions more homeless and destitute. They are nothing less than evil doers and should be tried for their crimes by the Kuala Lumper War Crimes Tribunal, the only credible legal entity in the world today for the prosecution of war crimes and crimes against humanity. Amnesty’s mendacious report on the ‘crackdown’ on ‘peaceful protesters’ and ‘human rights’ activists in Burundi has now been released in order to provide justification for the invasion and occupation of Burundi by international ‘peace-keeping’ forces under the spurious UN doctrine of ‘responsibility to protect’, which translates as the responsibility of the global corporate polyarchy and its puppet governments to ensure that no nation, no matter how small or insignificant, dares challenge the self-proclaimed authority of their ‘global governance’. 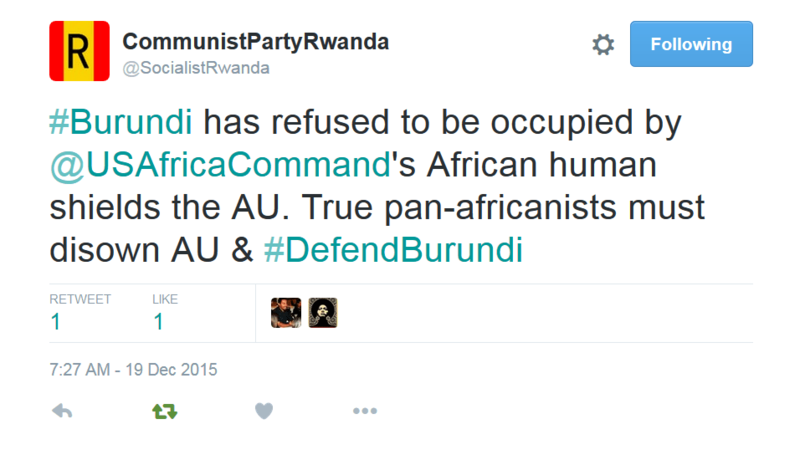 Rwanda and Burundi : Who’s ‘promoting instability through violence’? Just as an FYI, after filling out comment fields, making a comment, there was/is no obvious ‘submit’ button. the small plain white box below proved to be such, but it was very confusing, at least to me. it’s also odd that tweets don’t embed. Good on you, Gearóid Ó Colmáin. It’s a-comin’ like a train comin’ down the tracks. Africom’s mission statement is an exercise in self-parody, isn’t it?